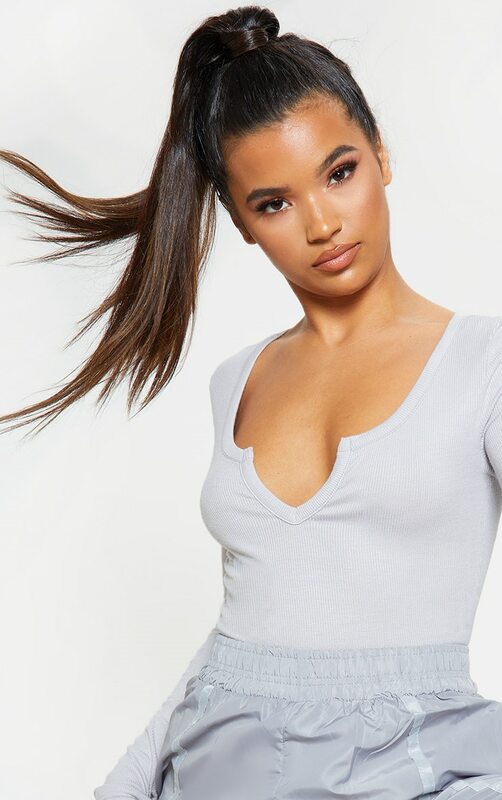 This simple bodysuit is essential for dressing up or down. Featuring a grey material with a v neckline, long sleeves and popper fastenings. Team this with shell bottoms and heeled boots to give your look a sports luxe vibe.